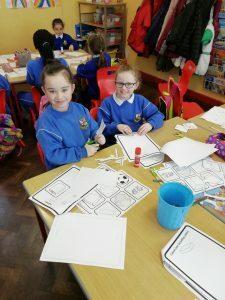 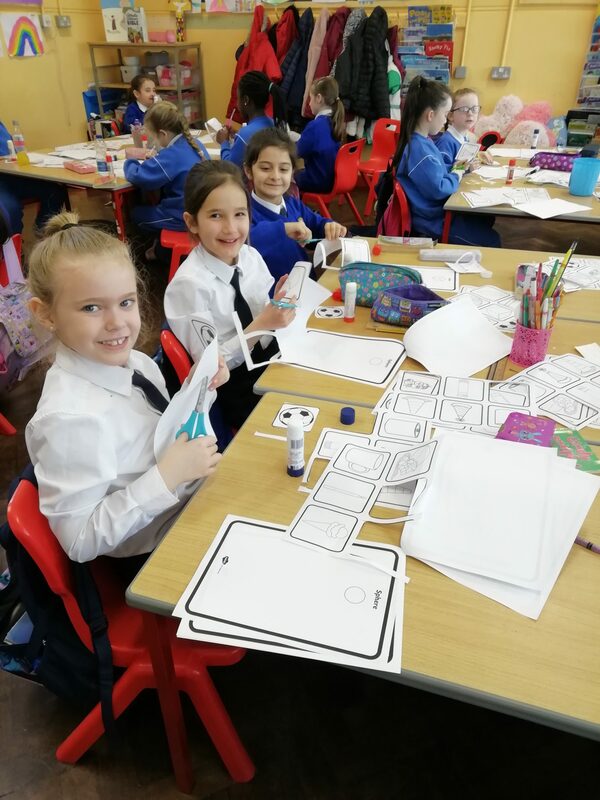 Super Days in Second Class! We were very busy today in room ten! 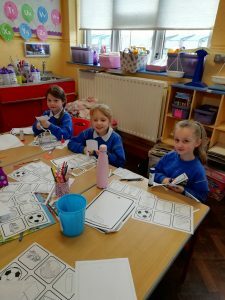 We worked very hard on our 3D shapes this morning and even made our own 3D shape books! 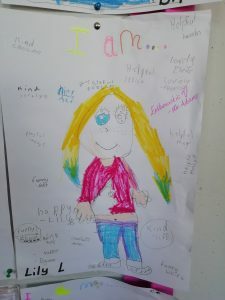 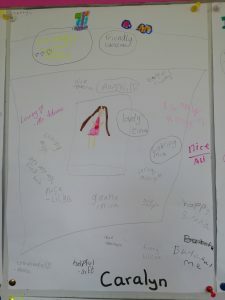 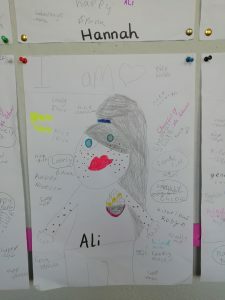 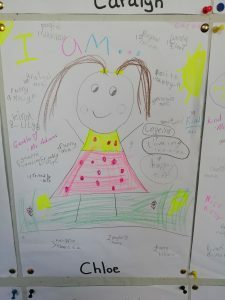 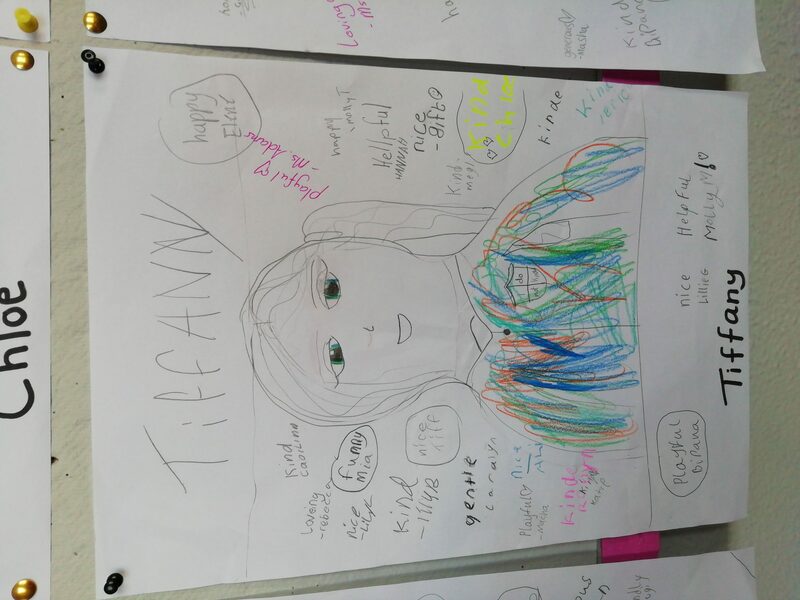 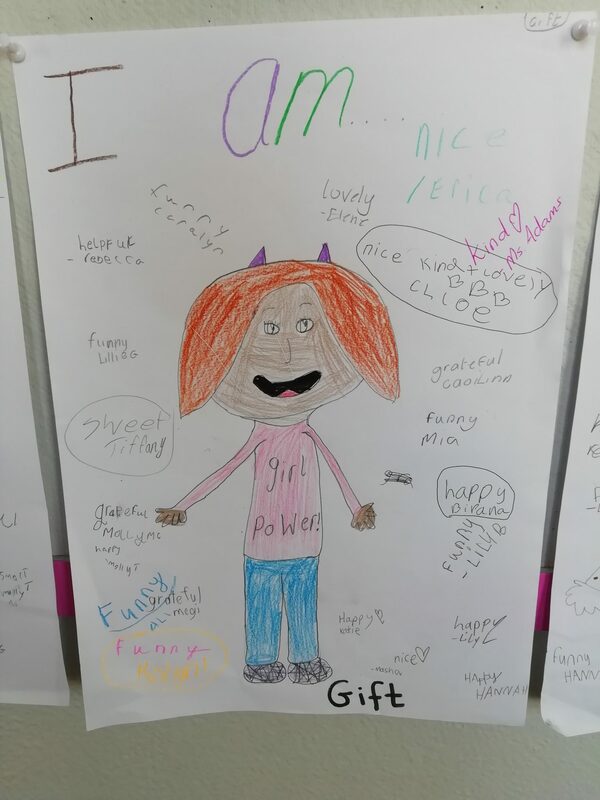 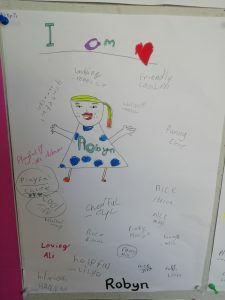 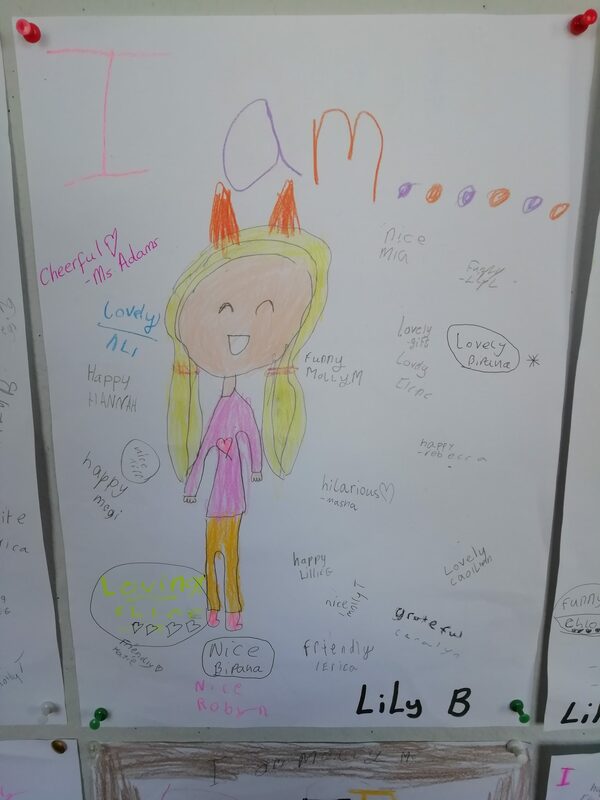 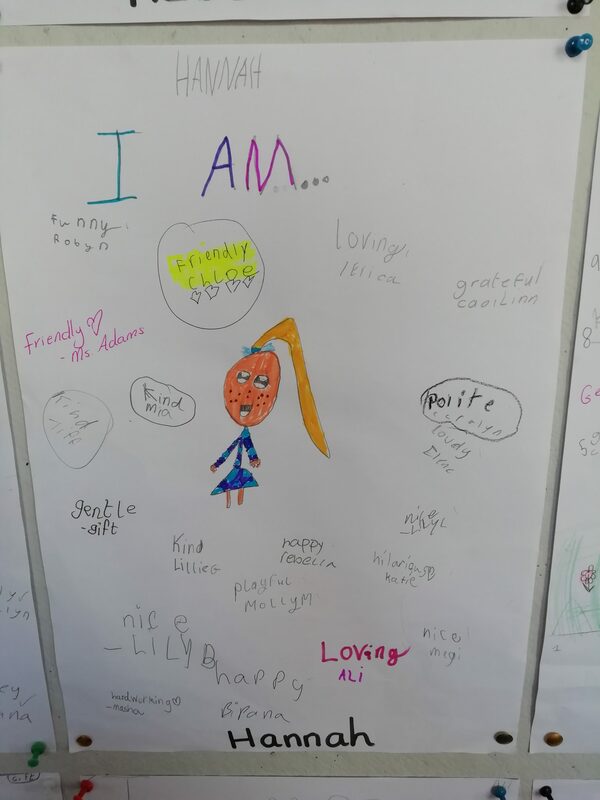 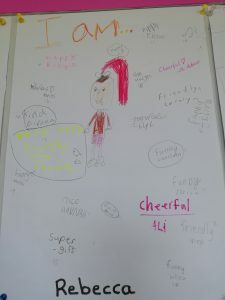 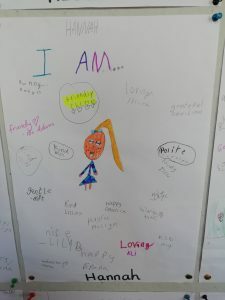 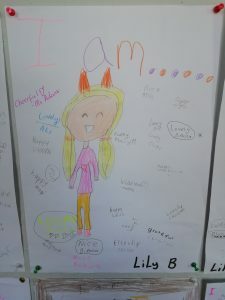 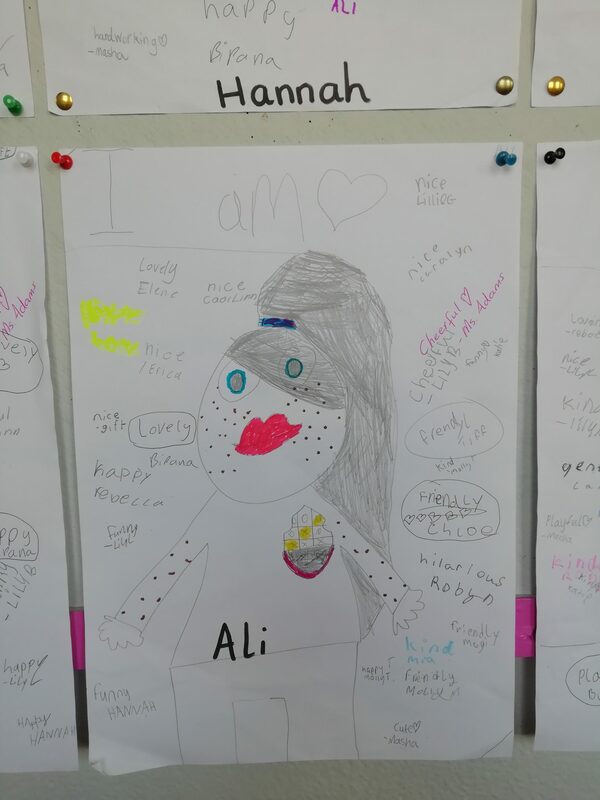 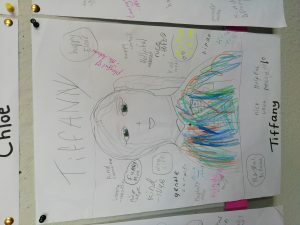 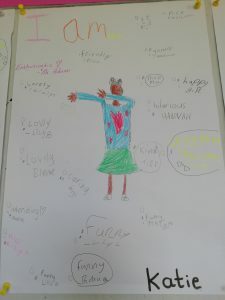 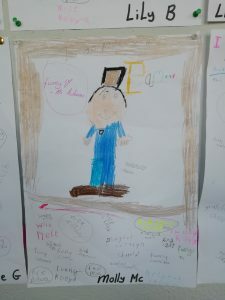 We also finished our “I am…” pictures. 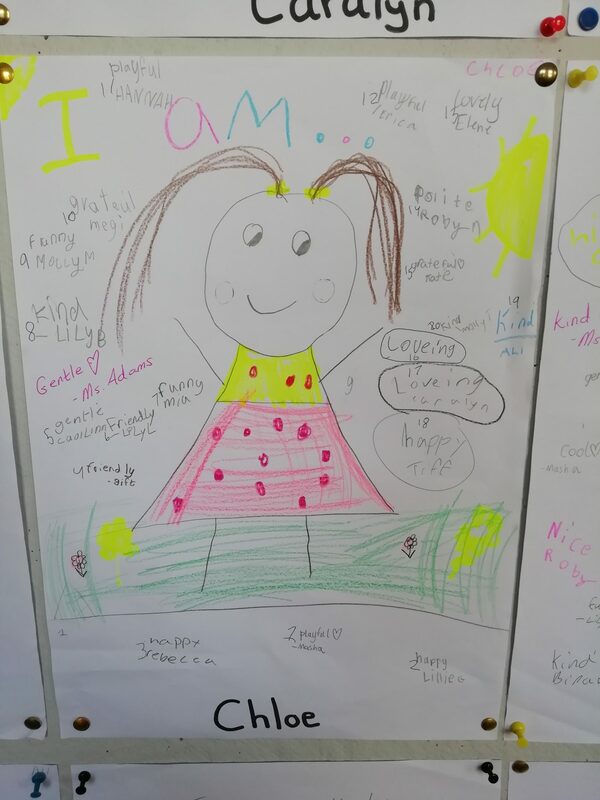 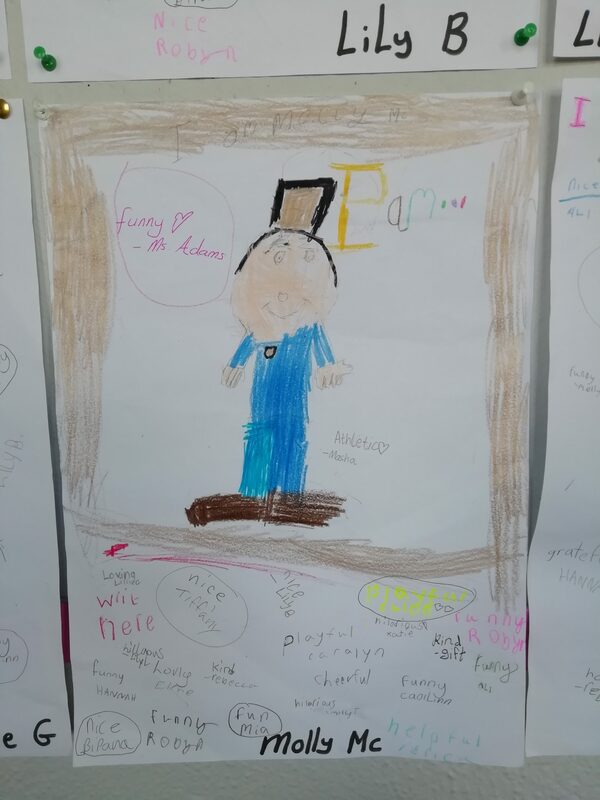 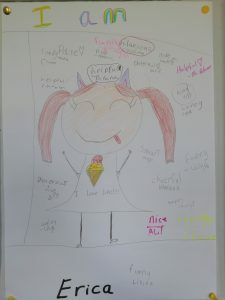 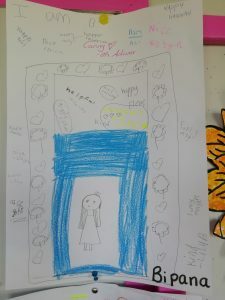 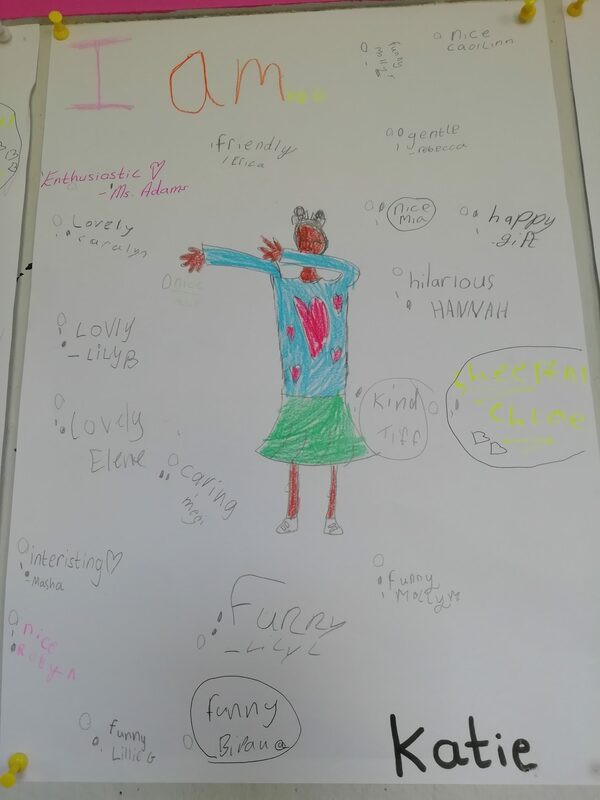 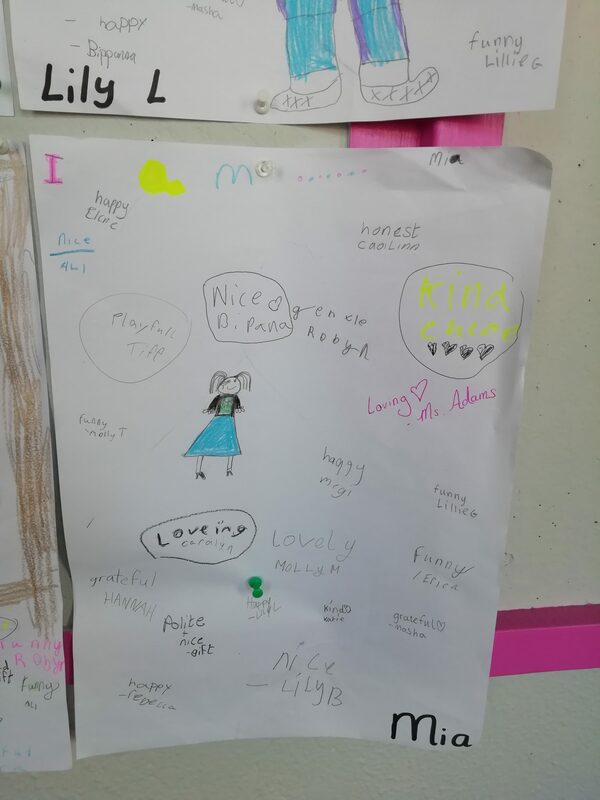 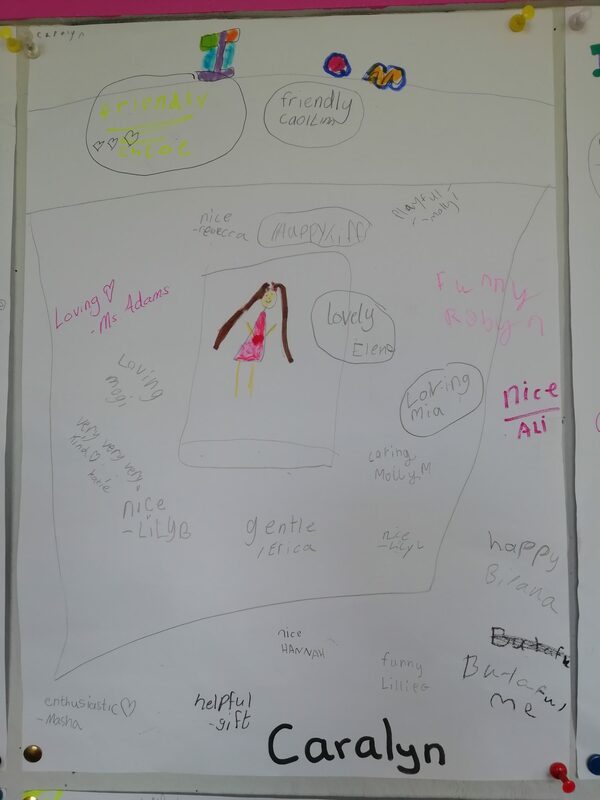 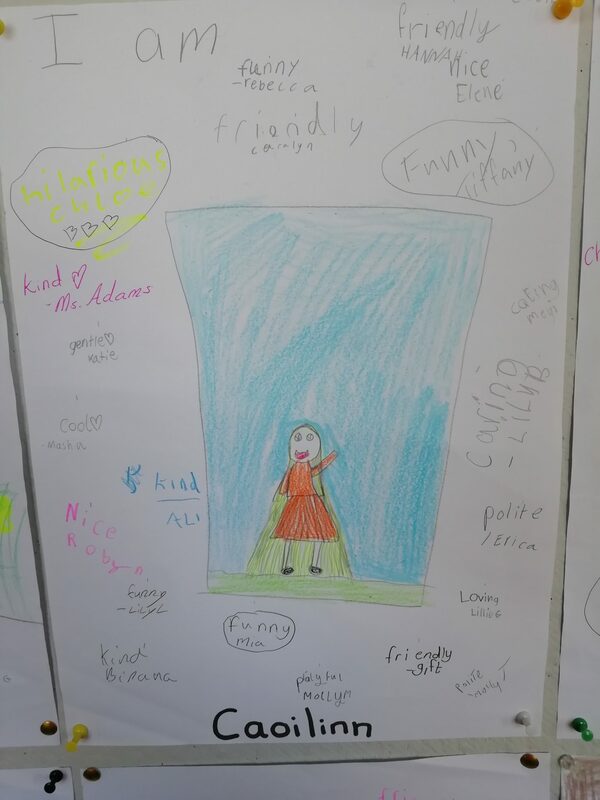 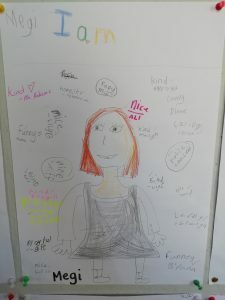 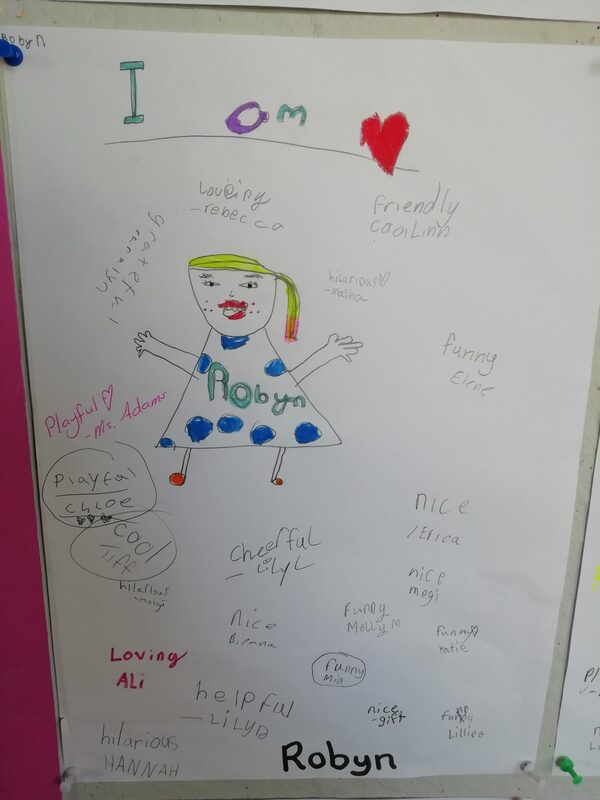 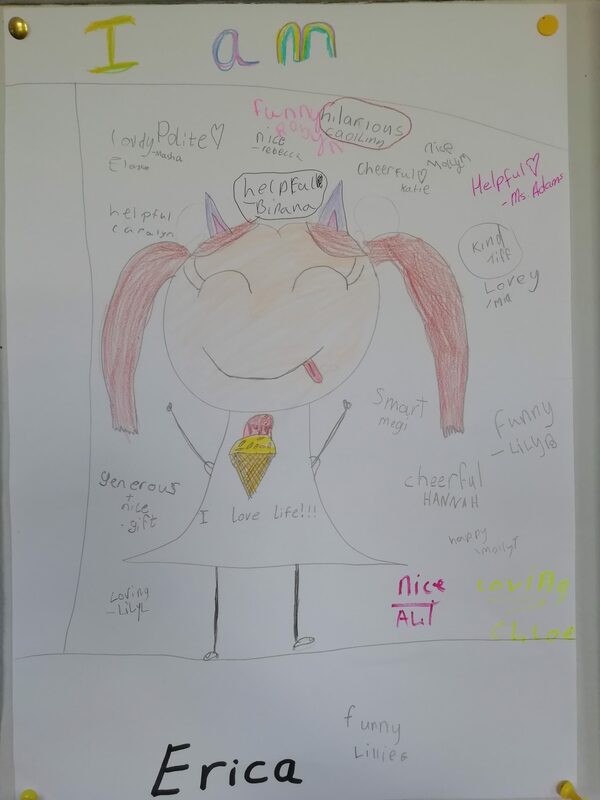 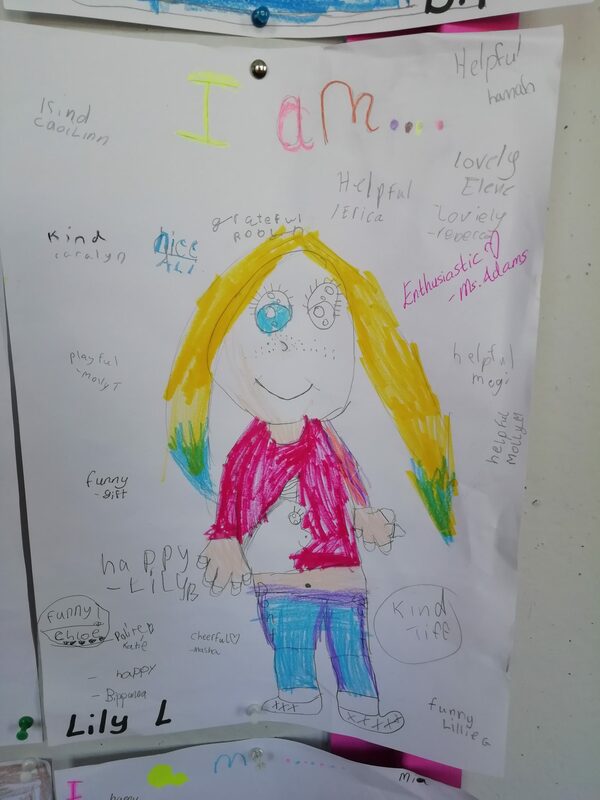 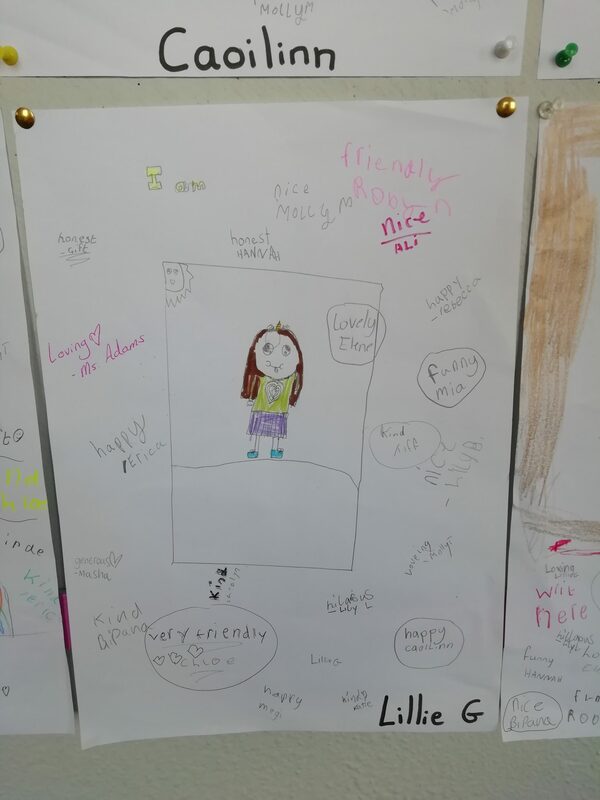 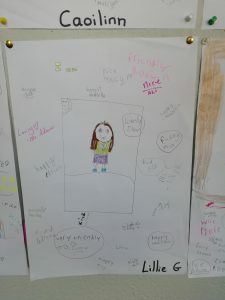 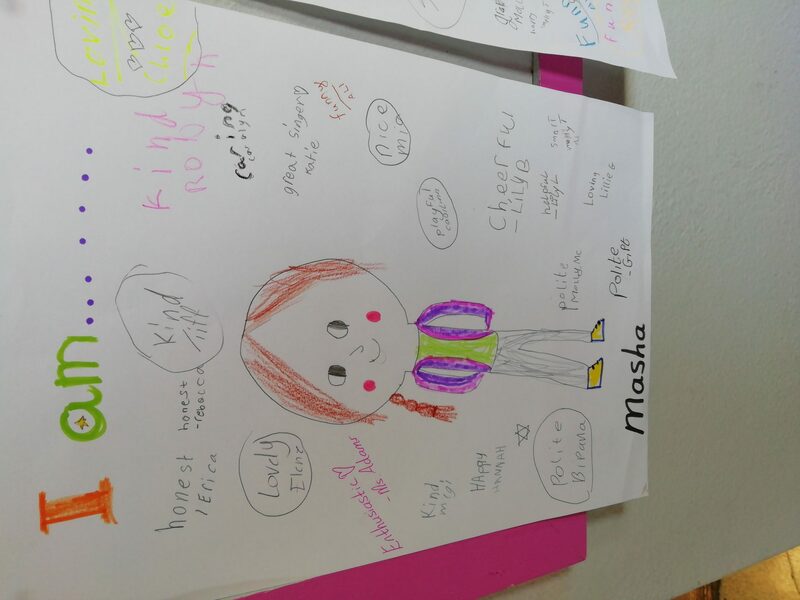 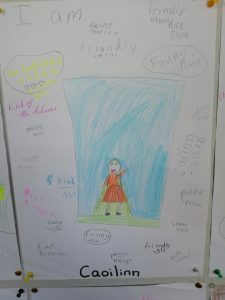 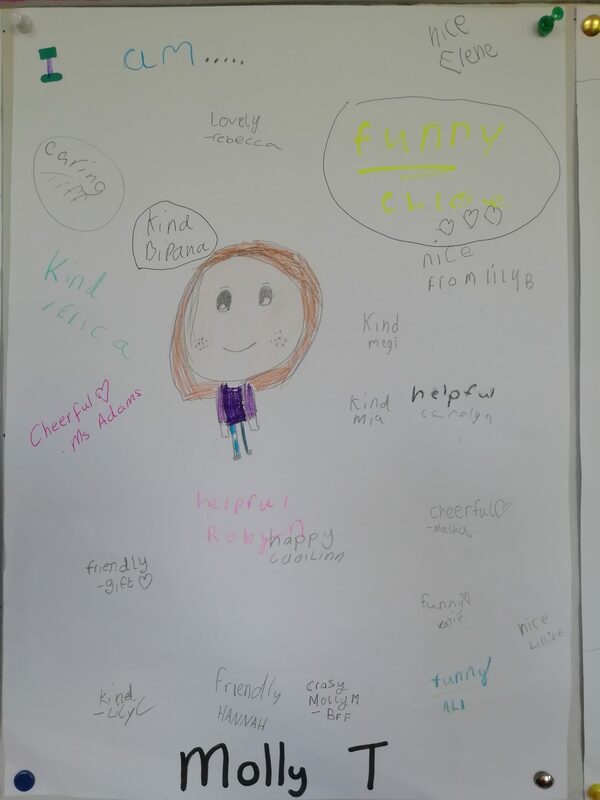 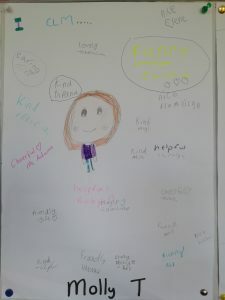 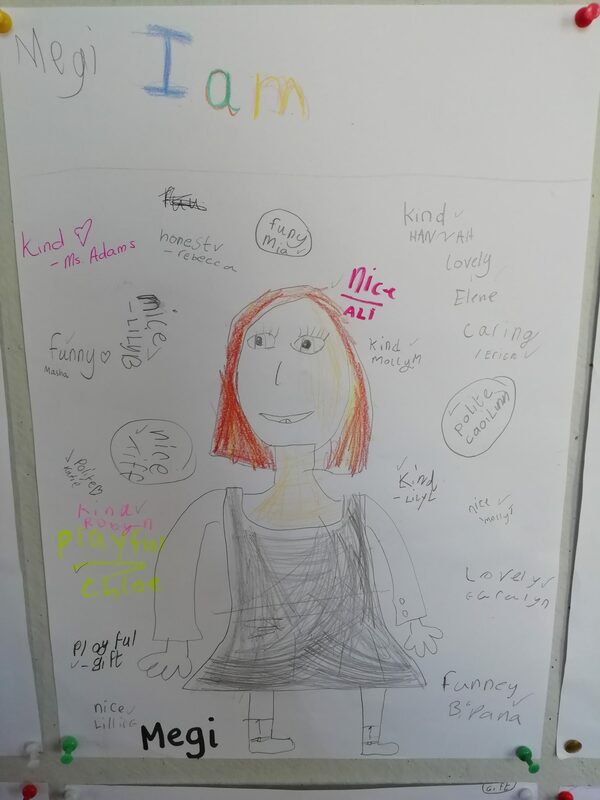 We loved making these pictures because everyone in the class wrote lovely things about each other and this made us feel very special. 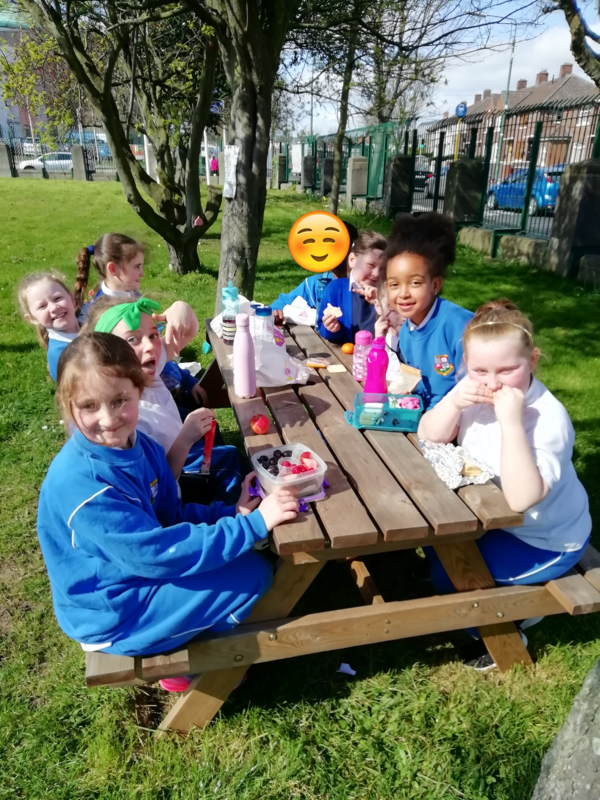 You can see our finished pictures below! 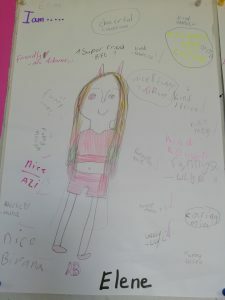 We read another beautiful book as part of the Children’s Books Ireland shadowing scheme. 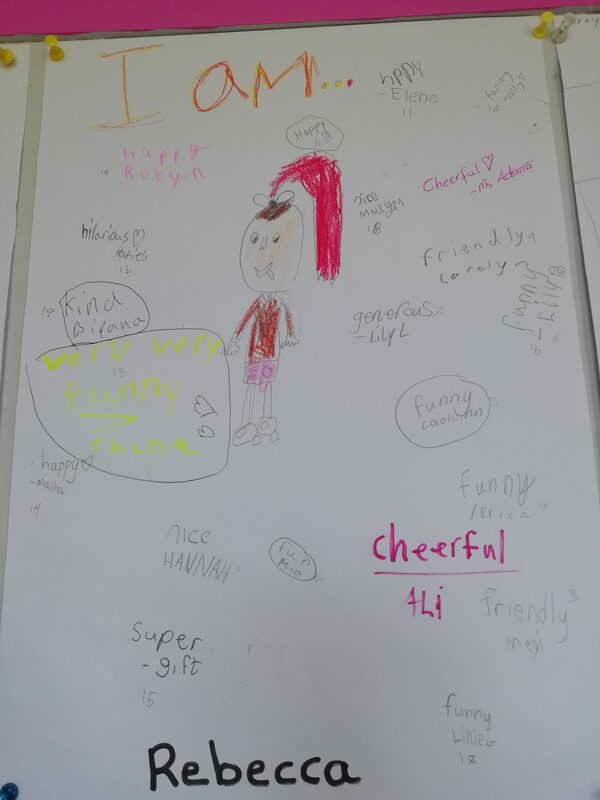 We gave this one 100 out of 100! It was very interesting and we learned a lot of cool facts about different animals. 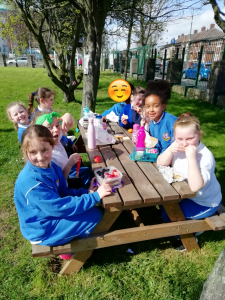 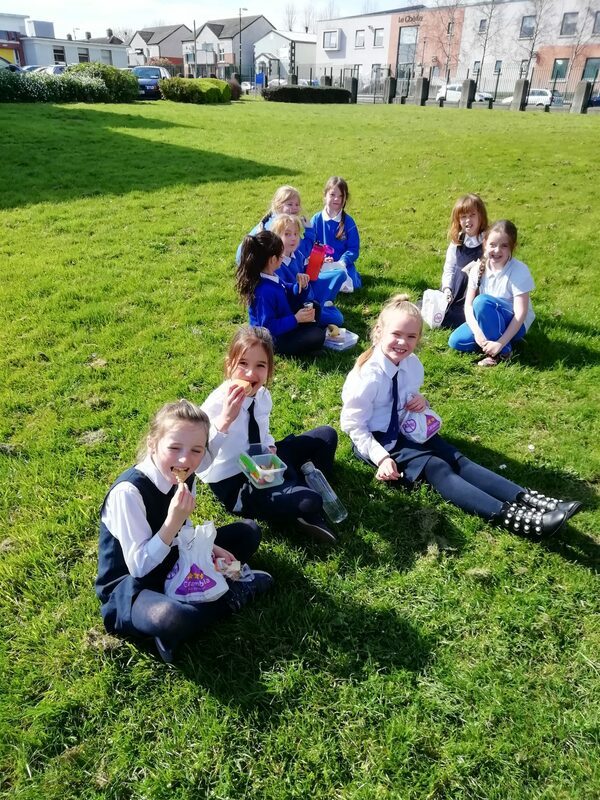 We worked so hard on everything today that our teacher thought the best place to have lunch was outside so we could relax a little in the sunshine!